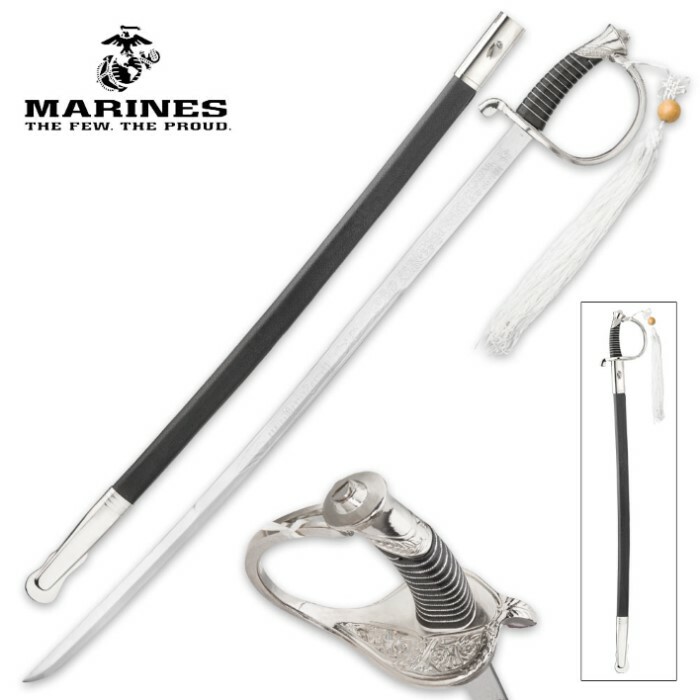 The USMC Ceremonial Saber Sword looks great displayed in your home or at the office. 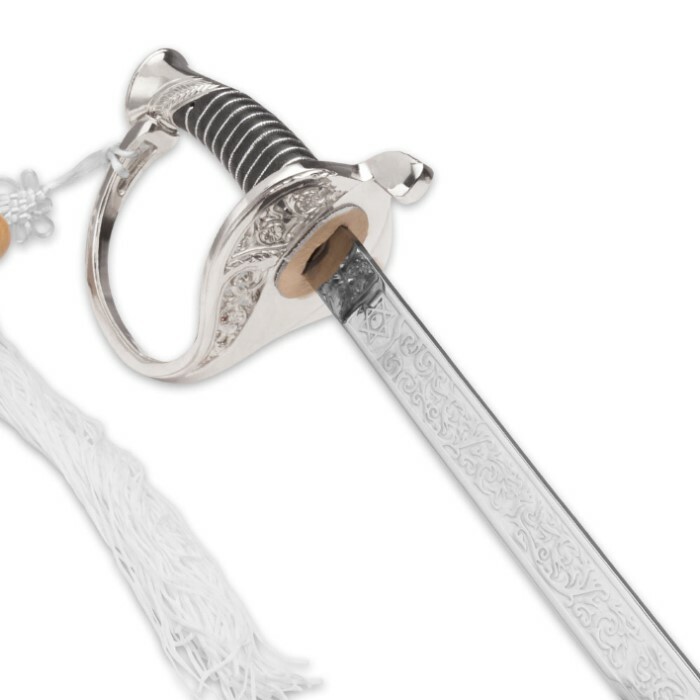 The sharp, 29 1/4" stainless steel blade is embossed with USMC themed artwork, which includes “United States Marines”. 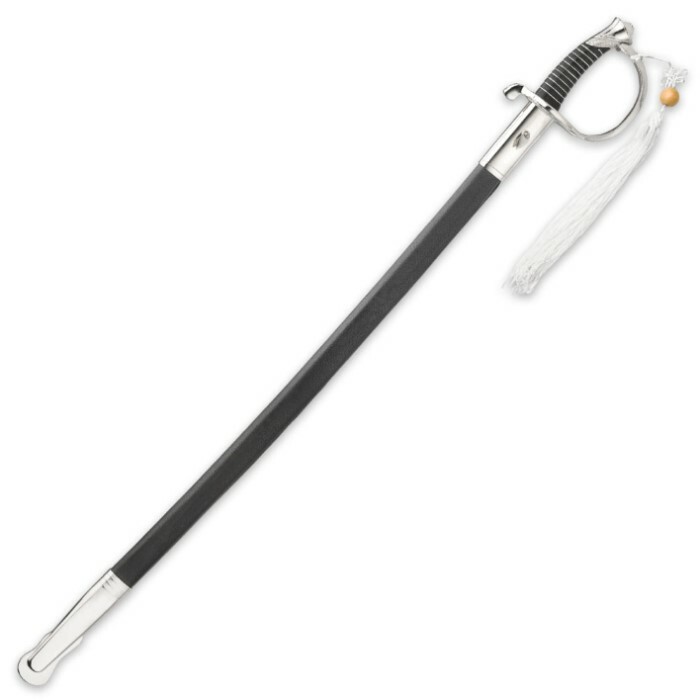 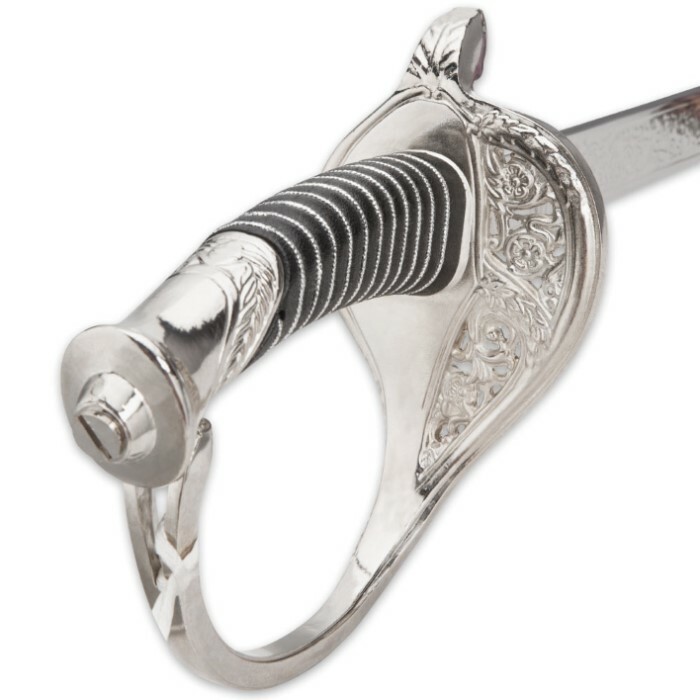 The hilt is polished stainless steel with a TPU grip with faux wire wrap and a guard with decorative metalwork and a tassel. 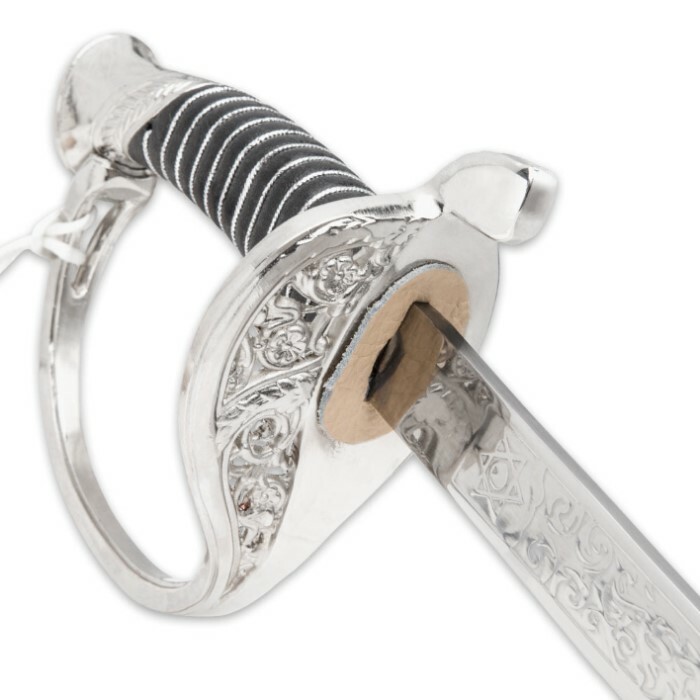 The matching scabbard is of black faux leather and features stainless steel decorative accents.The officially licensed USMC Ceremonial Saber Sword from United Cutlery makes an excellent, heirloom quality gift to present to the Marine in your life.